Scott Cutrow focuses his practice on entertainment, media and intellectual property issues. Scott's experience includes assisting clients negotiate film, television and new media development, production and distribution agreements. He also has experience counseling clients with respect to complex entertainment finance transactions, as well as employment contracts and talent agreements for film, television and digital product. In addition, Scott advises entertainment and media clients regarding corporate transactions and joint ventures. During law school, Scott was an editor for the UCLA Law Review and served as a judicial extern for the Honorable Presiding Justice Dennis M. Perluss of the California Court of Appeal. 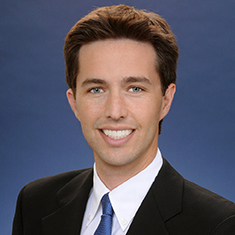 Scott graduated from the UCLA School of Law with a specialization in Entertainment, Media and Intellectual Property Law. Shown below is a selection of Scott’s engagements. Representation of a major television production company in connection with the revival of a major reality competition series. Representation of a major subscription video on demand service in series finance, production and distribution matters. Representation of the domestic arm of an international animation production and distribution company. Representation of a major multichannel video programming distributor in connection with video on demand distribution. Representation of a video game company in development, production and exploitation matters. Representation of a major independent film and television production company in licensing its original programming to a leading streaming service. Representation of an independent film and television production company in series production agreements and the negotiation of a development, production and financing joint venture with a foreign distributor. Representation of a major pay television network in a financing and output agreement with a major independent production company.